Ethernet Signal Tester are the most common applications, and the prices are cheaper and the grades are complete. Therefore, the application field is very wide, and they can be seen in large and small LANs. 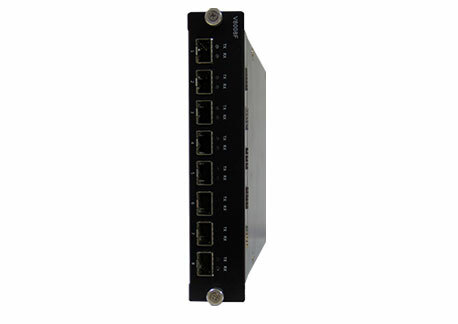 Ethernet switches usually have several to dozens of ports, which is essentially a multi-port bridge. In addition, its port rate can be different, and the working mode can also be different, such as providing 10M, 100M bandwidth, providing half-duplex, full-duplex, adaptive working mode, and the like. 1. Each port of an Ethernet Performance Test is directly connected to the host, and generally works in full-duplex mode. 2. The switch can connect many pairs of ports at the same time, so that each pair of communicating hosts can transmit data without conflict like the exclusive communication medium. 3. The bandwidth of the shared transmission medium. For a common 10 Mb/s shared Ethernet, if there are N users, the average bandwidth occupied by each user is only one-N of the total bandwidth (10 Mb/s). Previous: How Does The Ethernet Continuity Tester Test?